Panini Futbol Argentino 2016 is a huge collection that includes all the 30 clubs of Primera Division and the 23 of B Nacional, for a total of 53 clubs! The album begins with the calendar of the Primera Division for the season 2016/2017. 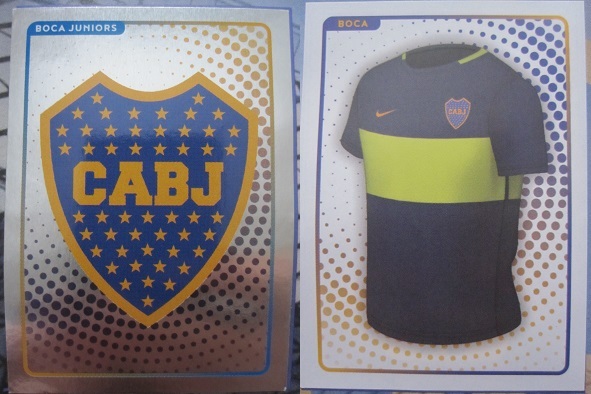 This introduction includes the first sticker: the metallic logo of the Argentinian Football Association. The clubs of Primera Division are shown in alphabetical order, each displayed over two pages with a total of 15 stickers, except for the main clubs (Boca Juniors, Independiente, Racing, River, San Lorenzo, Velez) that have 17 stickers each, including one extra metallic sticker of the star player. Stickers of the metallic club badge and the team shirt are included for all the clubs. 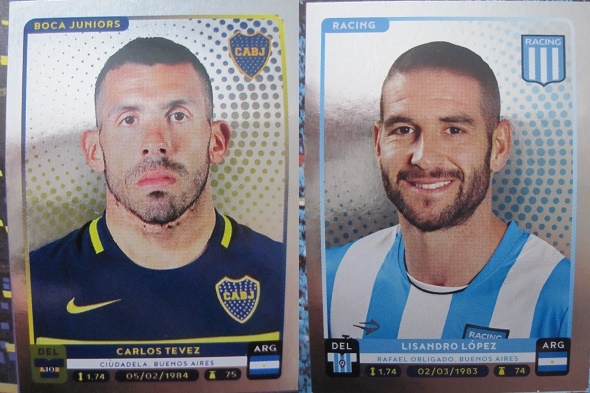 One typical feature of the previous Argentinian albums by Panini is that the stickers of players are taken "in action". In Futbol Argentino 2016 we have for the first time portrait stickers of players, except for 4 clubs (Banfield, Estudiantes, Gimnasia LP, and Tigre) which have still stickers of players in action. After the Primera Division, there are two pages with the "Goleadores" of the Futbol Argentino. Here we find 13 edited stickers of players in action. Among them Dario Benedetto (Boca Jrs) and Lucas Alario (River Plate). The section of the Primera B is introduced by two pages with the season calendar. Then each club is on one page with 8 stickers: the club badge (metallic), the shirt, the team photo, and 5 players.